I used it as a mortise chisel. Many people call this design a mortise chisel, but they are incorrect. You can use it for almost any cutting task but the angle that you put on the edge will make the tool better at one task than another. Vintage Lawson and Heaton (Birmingham) BOLSTER CHISEL 4"
In good used condition. Has surface oxidation and pitting. They are in varying condition which you can see if you check out all of the pictures. 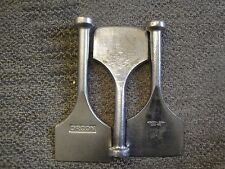 1x 25MM HARDEND STEEL SDS CHISEL. 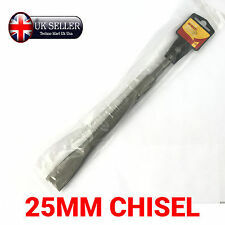 1x 25mm SDS Chisel well created from Hardened Steel for long lasting Use for Light and Heavy Duty DIY Jobs and has a long length for creating deeper channels on walls, floors & celling's. 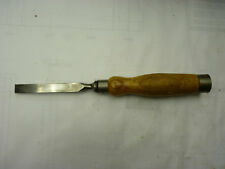 Sorby 11/16" pattern makers cranked gouge with a boxwood handle.